Head to Marula Café for a night full of rhythm with Newen Afrobeat. 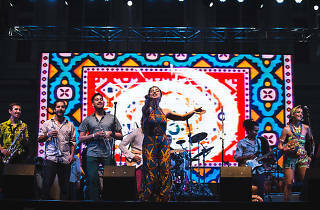 With more than five years togegther, the Chilean afrobeat band is known far and wide for its fresh sound and huge energy during live shows. 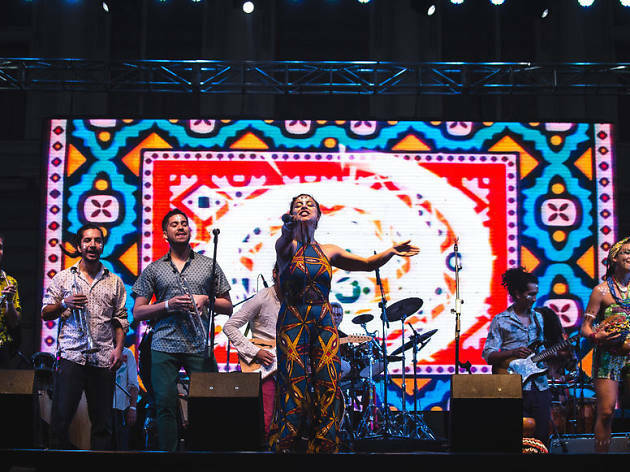 They've played on stage with true legends of the genre, including Tony Allen, Oghene Kologbo, and Femi and Seun Kuti, performing in festivals and concerts in Chile, Brazil, France, Nigeria and the USA. Following their 2013 eponymous debut album, Newen Afrobeat are now presenting 'Newen Plays Fela', a tribute EP to Fela Kuti that includes two of Kuti's classic songs reinterpreted in a very Newen style. Closing out the night are DJs Tobias Kirmayer and Pedro Makonnen.